Doesn't he look cute even when he is obviously tense? 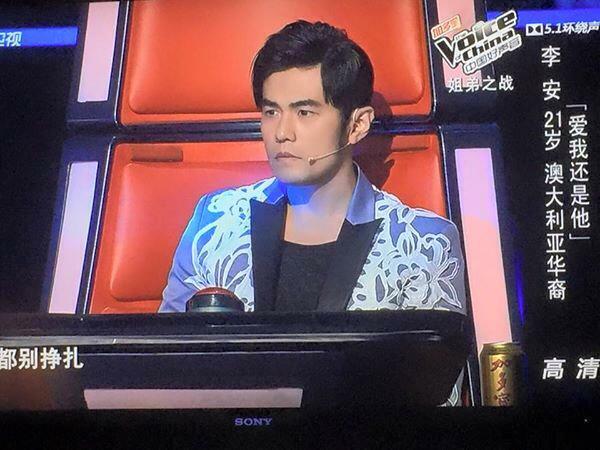 Lots of nailbiting moments during the battle round between Team Jay Chou and Team Na Ying, especially when the panel of 51 judges took turns to hold up their voting placards! 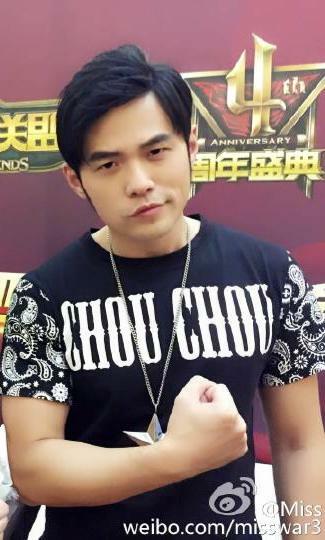 The arrangement of the opening songs for Jay's team was done, not by Jason Huang but by Xulin, who lost to Willjay in the first round. I find that extremely big-hearted of Jay, to make good on his words to Xulin to continue doing good work with music arrangement. And Xulin on his part was chuffed to be able to help the team. Must say he did an excellent job! Love the little reference to Jay's Wu Ding in the bridge. Being my first time watching this show, I have been quite impressed with the cosmoplitan nature of the contestants, some of whom have come from countries other than China and Taiwan viz Thailand, Malaysia, New Zealand, USA, Australia and I believe Canada. 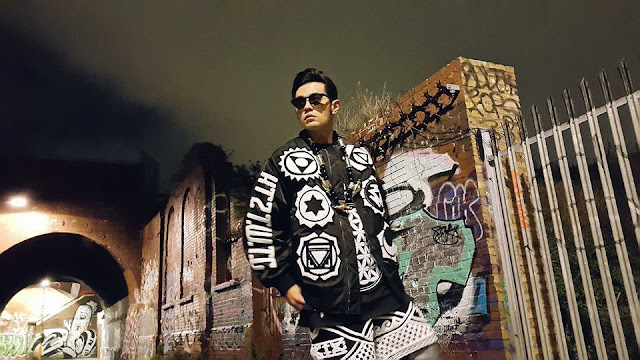 For some of them, singing in Chinese was a definite challenge and for the others, singing in English had to be one of the most difficult tasks ever, as evidenced by Xulin's lapse in his battle with Willjay when singing Bruno Mars' Just The Way You Are. His recovery was very smooth, though and although it happened at the beginning of the song, he maintained his composure and went on to finish strongly and confidently. 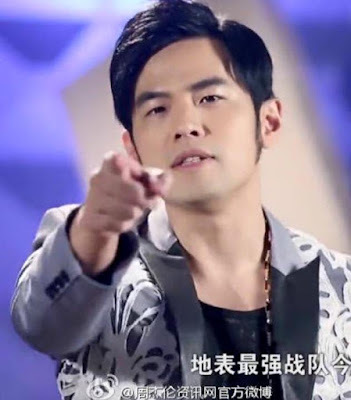 It also appears that having Jay Chou as a mentor has led to more rapping as seen in the contestants' choice of songs and even Na Ying singing this style for the first time ever in her team's opening performance of Jay's Yan Hua Yi Leng. It is, however, a fact that his presence has boosted the popularity of the show by leaps and bounds. I think he was also correct to have held off being a mentor in earlier seasons, citing his age and wanting to reach a more mature stage of his life before being thrust into such a position. Now at 36, married and with a family of his own, he has also honed his speaking skills and lets his natural wit and humour shine through. Not to mention all his adorable gestures and facial expressions which have earned him the nickname of Little Princess...lol! Yet, he has remained respectful of the other more senior mentors, making sure that he himself does not take centre position, whether in the posters or on the stage in those chairs. It is interesting to note that both his parents were teachers. Jay also once thought he would be a piano teacher, before he veered into songwriting and the pop industry. Looks like teaching is in his genes! His students are full of praise for his mentorship, citing his patience, generosity and endless encouragement to enjoy music for its own sake and to always give of their best. and presenting a masterclass for last year's Golden Melody Awards events. I feel his success as such boils down to the fact that despite his megastar status, he has no airs and remains down-to-earth when interacting with everyone as he is always mindful of his humble beginnings and is able to empathise with those who have faced difficulties in their studies and careers. Here's wishing them well as they proceed to the next round! Not one of my favourite songs but I do admire his linguistic dexterity! NB: Opus 2 Jay concerts are also on-going. Check out the Page for updates, pics and vids. Too much to post here.